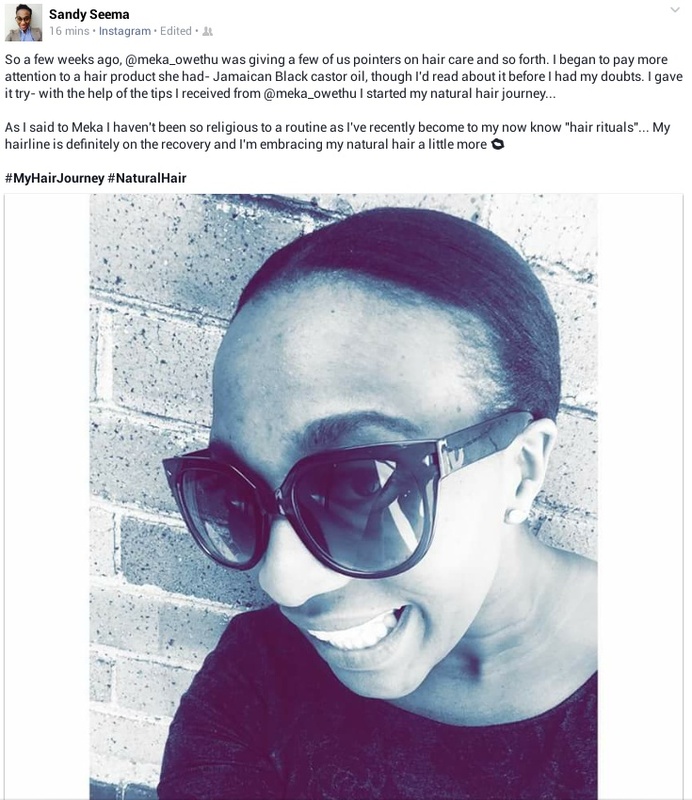 After receiving a beautiful message from Sandy Seema, my fellow Foschini brand ambassador, about the positive changes our hair conversations have brought to her hair, I made a promise to share in writing the knowledge I have acquired in my own natural hair journey. This is in hope that you will read and put this knowledge into good use, like Sandy did. Hair requires sufficient nutrients to grow and these come from eating right. Since eating a balanced diet is easier said than done buying supplements that offer vitamin B, C, D, Protein, Iron, Zinc, Folic and Omega-3 Fatty Acids among other essential goodies is the ideal alternative. They are an investment to your overall health and gaining strong, healthy hair and nails is an added benefit. Enjoy the convenience of braids and indulge in silky weaves as long as the hair underneath it all is taken care of daily. Fail to cleanse and feed your strands with the right products at the right time and that dry clothing line that has been your hair for years will snap. Without a healthy foundation of hair there can be no pretty braids or fabulous weaves and lace wigs cannot bring back what you have lost. Who handles your hair and how they handle it is your responsibility. Ethnic hair is fragile and demands the utmost care. In the long run it is cheaper and easier to maintain healthy hair than to fix one that has been damaged. Thinning hairline, chemical and heat damage hair cannot be fixed over three months. You took time to systemically damage your hair. Time and proper care can only fix that.